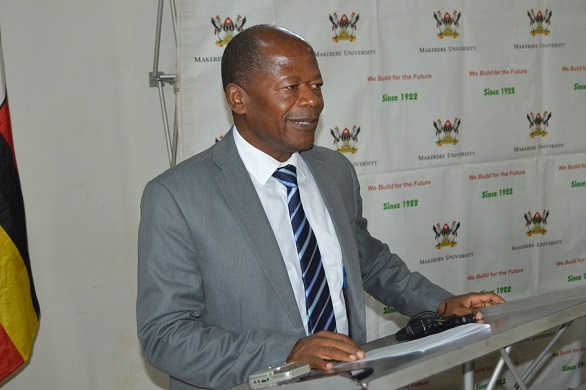 KAMPALA – The Bamunanika county MP and State minister for higher education John Chrysestom Muyingo has said government is going to tighten its supervision in all schools to ensure security for the students especially all schools across the country. This follows a fire outbreak at St. Benard’s secondary school, Manya in Kyotera-Rakai District where at least 11 students have been confirmed dead in a senior three dormitory where about 50 students resided at around midnight. Speaking to Journalists shortly after the opening of a two days’ workshop for the newly elected chairpersons and councilors sitting on different Local committees from Luwero Districts organized by the Institute of Parliamentary studies held at Parliament. Muyingo added that government will include a clause on safety and security in the Education Act 2018 which will soon be tabled in Parliament. Muyingo said all guidelines for the security have been in place but it is unfortunate that most schools don’t adhere to these standards and guidelines.